Here at Betten Imports we want to celebrate the release of Twilight Saga: Breaking Dawn and its vampire vehicle of choice: the Volvo S60 R-Design. You can enter every day for a chance to win multiple prizes. Remember to share with your friends and get bonus entries! So, what are you waiting for? Head on over to our Facebook page to enter: Facebook.com/bettenimports. Read more on the Volvo S60 T6 R-Design and Breaking Dawn. One entry per Facebook user per day. Each contestant will receive one additional bonus entry per friend that participates after the entrant. Movie ticket winners will be selected on November 14. All other winners will be chosen on November 26. The winners will be contacted through email no later than November 28. *The movie tickets are not dated and can be used for the film of your choice at any Celebration Cinema in West Michigan. The tickets will be given away in four sets of two. Must be a U.S. citizen and 18 years or older to enter. Must be able to physically pick up your prize at Betten Imports in Grand Rapids, Michigan. Void where prohibited. This giveaway is not officially affiliated with Celebration Cinema or Facebook. Betten Imports employees and and their family members are not eligible to win. Most folks think of a Jeep as a simple but sturdy machine, an elemental 4X4 that’s a bit rough around the edges but supremely capable nonetheless. The latest Jeep Grand Cherokee, though it upholds the Jeep tradition of off-road prowess, is also packed with enough sophistication and technology that blindfolded passengers might think they were in a luxury sedan. Here are five of the features that conspire to make the Grand Cherokee equal parts Rubicon Trail-buster and Mercedes-Benz S-Class impersonator. An innovative air-suspension, dubbed Quadra-Lift, is one of the keys to the Grand Cherokee’s versatility. The system utilizes pressurized air from a reservoir in order to lift the front and rear air springs, raising the vehicle up to 2.6 inches from its normal height of 8.1 inches for optimal ground clearance and off-road performance. Quadra-Lift can also lower the suspension for sportier handling, better aerodynamics and increased fuel efficiency, while in its standard mode the system is excellent at masking road imperfections to create a refined and luxurious ride. Hemi V8’s have been known for supreme power for decades, and the variant under the Grand Cherokee’s hood doesn’t disappoint: with 360 horsepower and 390 lb-ft of torque, there’s ample thrust for any situation. However, when all that power isn’t needed, the big V8 has a Multi-Displacement System that automatically deactivates four cylinders in order to save fuel. The switch from eight to four cylinders is electronically controlled, smooth and takes just 0.04 seconds. With a French-stitched leather console and genuine wood trim, the Grand Cherokee has received a number of awards for its impressive new cabin. Fit and finish is excellent, and soft-touch materials abound for a particularly rich feeling. Optional features like a panoramic sunroof and 506 watt Alpine Stereo make for a truly sybaritic environment. For all its refinement, the Grand Cherokee is no slouch when it comes to demanding tasks like towing. When equipped with the Hemi V8 and the trailer tow package, it can tow up to 7400 pounds, a testament both to the power of its engine and the rigidity of its frame. Additionally, a Trailer Sway Control system can automatically senses dangerous trailer sway and take action by automatically applying the right amount of braking to maintain control. Research conducted by the National Highway Traffic Safety Administration found that almost 30 percent of the total crashes reported to police each year in the U.S. were from rear-end collisions. However, another study concluded that 1.5 seconds of additional warning could prevent up to 90-percent of rear-end collisions. To try to give drivers an extra heads-up, Jeep developed the Forward Collision Warning System, which uses radar sensors to detect when the Grand Cherokee may be approaching another vehicle too rapidly. The system then alerts driver with an audible chime. For more great automotive articles, check out Leftlanenews.com. 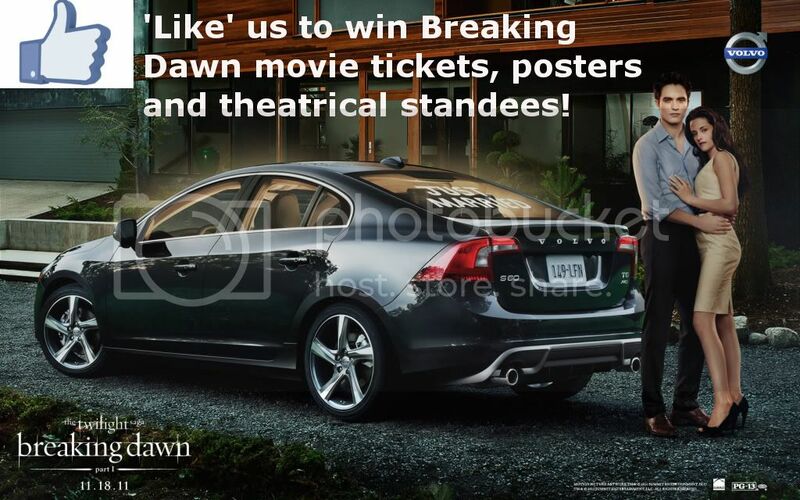 The Twilight Saga continues its tradition of featuring vampire-driven Volvos with its latest film: Breaking Dawn: Part 1 and the 2012 Volvo S60 R-design. The all-new Volvo sedan stands out with its sleek and dynamic styling features, which include stunning rims, sporty tailpipes, added spoilers, and color-coordinated body moldings. For a look at its race-inspired interior, check out this article on how the S60 earned a Ward's 10 Best Interiors Award. With 325 horsepower, the S60 R-design’s sporty looks match the power and performance of its turbocharged six-cylinder engine. The sedan features all-wheel drive with the company's Corner Traction Control torque vectoring system. Volvo wants to celebrate the release of its S60 and the much-anticipated fourth movie from the Twilight Saga: Breaking Dawn - Part 1. Over at the Volvo Cars US Facebook page, you can enter to win the actual $54,814 Volvo S60 T6 R-design featured in the film! Other prizes include a trip to Rio de Janeiro, mirroring Edward and Bella's honeymoon and tickets to the film premiere. To learn about the "Journey to the Wedding" contest and other Twilight-related giveaways, check out the Volvo Cars US Facebook page. Stay tuned to our Facebook for an upcoming Twilight-themed giveaway. The new Mercedes-Benz C-Class Coupe is a sophisticated statement on four wheels. The 2012 Coupe model has an aggressive design with a performance engine and seven-speed transmission to back it up. Based on the C-Class Sedan, the new Coupe stays true to Mercedes-Benz's bold profile with its signature slatted grill and sleek yet sporty silhouette. Besides its classic luxury stylings, the race-inspired interior comes with 14-way adjustable power seats and dual-zone climate control, as well as a 4.5 inch color display screen that allows you to control everything from audio streaming to navigation and driving settings. The Coupe features hard-drive navigation with Enhanced Voice Control, a six-month trial subscription of the Mercedes-Benz mbrace, and a panoramic roof almost twice the size of your average sunroof, specially equipped with heat-rejecting tint glass. The new Coupe should be arriving at Betten Imports in October. Read more details on the C-Class: www.mbusa.com. Fall: The season of apple-picking, trick-or-treating and great specials on Volkswagen service! Right now there are fantastic deals and discounts on Volkswagen oil changes, tires, and brake pad replacements with the Volkswagen Real Deal Service Event happening at Betten Imports. Schedule your Volkswagen service appointment today! *See Service Consultant for details. **Available on select Continental, General, and Pirelli tires only. Eligible Continental, General, and Pirelli OEM, OEA, and WIN tires must be purchased through the Volkswagen Tire Store. Offer valid through October 31, 2011. ***Price includes a visual inspection of the front brake system and the installation of Genuine VW Front Brake Pads. Brake service may require additional parts or labor. Please present offer at time of write-up. Pricing applies for most models. Model pricing may vary and is subject to change. Taxes are not included. Offer valid through October 31, 2011. Buckle up America: The Golf R, Volkswagen's most powerful sports performance vehicle, is racing its way over to this side of the pond. The sporty new Golf R, the R32's successor has more power, better performance and an improved fuel-economy. The hot hatch has a rally-car feel with its award-winning turbocharged 2.0-liter TSI engine coupled with 256 horsepower, cementing it as Volkswagen's true performance icon. This R model stands apart as the most powerful Volkswagen sports performance vehicle ever sold in the U.S. The new Golf R is now available in two and four-door versions with standards of all-wheel drive and six-speed transmission. The two-door model starts at $33,990, while the Sunroof and Navigation models start at $35,490 (two-door) and $36,090 (four-door). The new Volkswagen Golf R will be arriving in dealerships in early 2012. To keep posted on the Volkswagen Golf, follow us on Facebook. Candy corn, pumpkins, haunted houses: Some things just go hand-in-hand with the month of October. And now, thanks to this month's fantastic Chrysler incentives at Courtesy Chrysler Jeep Dodge, add the 2012 Jeep Liberty to that list! Starting at $23,250 the compact SUV is available in two or four-wheel drive and is equipped with 3.7-liter V6 standard powertrain engine. The new Liberty comes in three trim levels: Sport, Limited and the new-for-2012 Jet Edition that is replacing the Renegade trim level. Check out the extensive Jeep Inventory at Courtesy Chrysler Jeep Dodge, your West Michigan Jeep dealer since 1966! Consumer Reports ranked the Chrysler 300C number six in their upscale sedan category, making it the top domestic luxury sedan! Scoring an "excellent" on its road tests, the sedan beat out many of its competitors: the Lincoln MKZ, Buick LaCrosse CXS, Ford Taurus Limited, among others. Consumer Reports is calling the 300C the best Chrysler sedan they've tested in decades, citing its V8-engine and "well-trimmed cabin" as some of the vehicle's most positive attributes. The 2011 Chrysler 300C received an impressive overall road test rating of "80" placing it into the Consumer Reports "excellent" category. For more car reviews and ratings, check out the Consumer Reports site.